I have a love-hate relationship with bananas. I love them but they hate me. If I eat a banana (peeled, whole, unadorned) about a half hour later I am doubled over in excruciating pain. Like 'PLEASE KILL ME! AN ALIEN IS BURSTING OUT OF MY STOMACH! TAKE ME TO THE HOSPITAL STAT' type pain. Understandably I stay away from raw bananas. Thank god cooked bananas don't have this effect on me because life would be sad. All the kids know that I don't eat raw bananas and therefore consider them fair game. So there are never enough bananas in my house to cook with because a few people, I'm not naming names, eat them all. I have to write on the bananas with Sharpie if I want a few to bake with. Anyways, this muffins are a win-win. They taste almost floral instead of that too heavy, whap you over the head banana taste and they have a streusel topping. The way I see it... streusel topping is a bonus. Some of the streusel crumbs always jump ship and are left waiting for you on your plate or napkin. After your done with your muffin and are sad because you know you can't reach for another one. Lo and behold there is that bonus bit of sweet - sometimes soft - sometimes crunchy streusel topping just waiting there for you to pick it up with your finger and pop it into your mouth. I love that. notes: use well ripened bananas that are NOT blackened. Preheat oven to 400 degrees. Brush the top of the pan and insides of the 12 muffin cups with softened butter. To make the streusel, mix the flour, sugar, brown sugar, cinnamon, butter, and vanilla with your fingers in a small bowl until combined and crumbly. Set aside. Sift the flour, baking powder, and salt together into a medium bowl. Beat the butter in the bowl of stand mixer with the paddle attachment on high speed until smooth, about 1 minute. (you can also use a handheld mixer fitted with beaters) Gradually add the sugar and continue beating, scraping the sides of the bowl often with a spatula, until the mixture is very light in color and texture, about 5 minutes. Beat in the lemon zest and vanilla. Gradually beat in the eggs, then the milk. Reduce the mixer speed to low. In thirds, add the flour, alternating with two additions of the sour cream, scraping the sides of the bowl and briefly after each addition. Do not overbeat. Fold in banana slices. 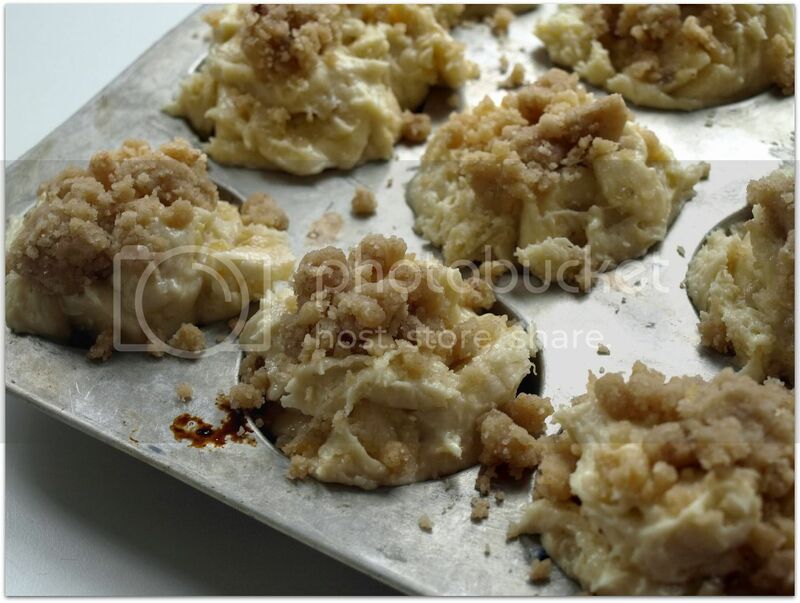 Using a 2 1/2 inch diameter ice cream scoop, portion the batter, rounded side up, into the prepared muffin cups. Generously sprinkle the tops with streusel. Bake for 10 minutes. Reduce the oven temperature to 375 degrees and bake until the muffin tops are golden brown, about 15 minutes more. 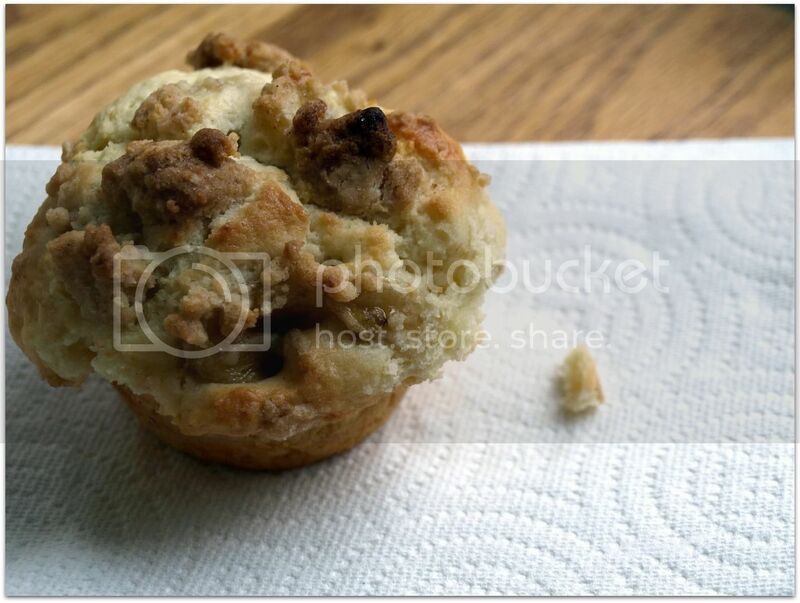 Or until a a wire cake tester or toothpick inserted into the center of the muffin comes out clean. Cool in pan for 10 minutes, if removed too soon muffins can collapse. Remove the muffins from pan and cool completely. And now to the giveaway... A few days ago, someone in my family, again not naming names, said I was The Grinch during the holidays. I really try not to be but working for 2 big retail chains for years soured me on Christmas... not that that should be any excuse. So this year, I already put up the decorations and bought a tree. I also decided to get me and maybe you into the holiday spirit. During the next few weeks I will be doing some giveaways on evil chef mom. Some will be sponsored and other will be out of my own pocket because I really enjoy whatever I am giving away and maybe you might enjoy it too. So take that you Grinch accuser you! 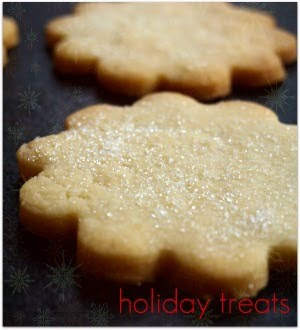 Today, I am giving away Sarabeth's Bakery From My Hands To Yours Cookbook. I am in love with this cookbook. The book is lovely, big, and thick... with gorgeous photography. Recipes ranging from croissants to pies, cakes, and ice cream. Lots of useful tips and so far not a bad recipe in the bunch. Leave a comment either here or on facebook (no, you do not have to become a fan to be entered) I will let the Random Number Generator pick a number and on Wednesday December 1st, I will post a winner. Last thing i need is another cookbook...but I wnat this one!!!! Good lord I want one of those right now. Ew, how am I not stuffed from Thanksgiving. But the Grinch has a beautiful heart, I love him! The giveaways are a great way to get in the holiday spirit, though. Those muffins look truly awesome! I am not a Grinch, but this year I feel I have no energy for the holidays coming up (1st trimester fatigue and sickness). Hope I pop out of it soon! The cookbook looks awesome too! That cookbook looks sooo good. I would love to win it! If you like it, I'd love to own it! Thanks for the contest. The muffins and the cookbook look fantastic! Sweet! 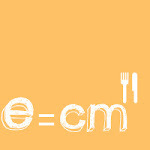 I love ECM so I know I would love that cookbook! Ooh, I need all the help I can get in the baking department! I'd love a copy of this cookbook!! The banana streusel looks so wonderfully delicious. I love looking a cook books! Congrats on getting up your decorations already! Scrumptious recipe! Thanks for a chance at the giveaway. Cool blog. I like how you're so relaxed in your writing. Check mine out, I'm the same way. And BTW, if you've got an extra cookbook taking up space in your kitchen, I'll be happy to take it off your hands, no problem. Streusel, it is all about the streusel. I'll just take a bowl of that thankyouverymuch! We can never have enough cookbooks, can we? This one does look interesting. Please pick me: I love this book!!! I could really use this cookbook (not one that just sits on my shelf gathering dust)! Oops. I forgot to sign in. That's me above (as Anonymous). Still want to win the cookbook. This is the least Grinchy post ever! I've been eyeballing that cookbook on Amazon...it's on my "wish" list. everyone thinks i'm crazy for wanting to make bacon magic bars. crazy i will be until they taste em. 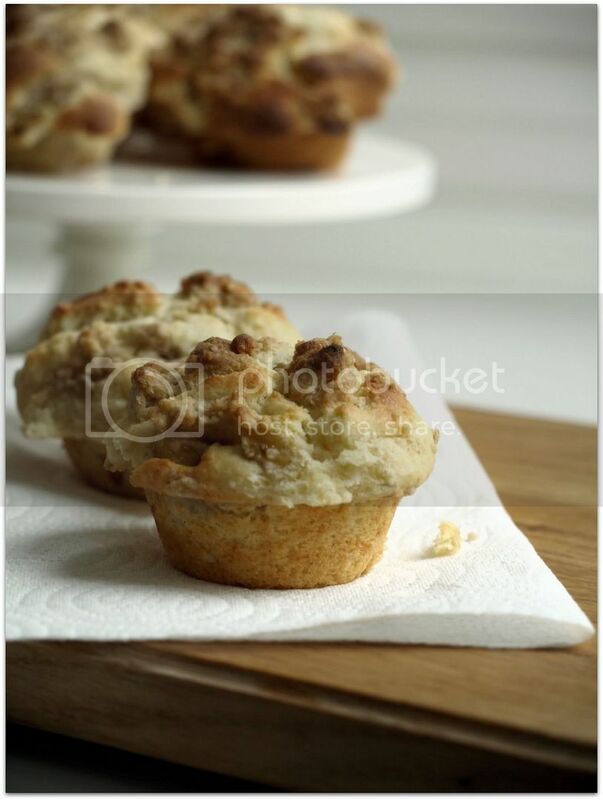 These banana streusel muffins look so yummy I want to lick my screen. Thanks for sharing. Cookbook sounds great. I have this wonderful image in my mind of you sitting around with a Sad Face on after the muffins are all gone and then . . . wait! STREUSEL CRUMBS! Happy Face! This books looks beautiful and the recipe on Amazon just lovely. Looks fantastic! That cookbook would be awesome! Who doesn't love a giveaway? Count me in. C'mon random number generator! I havent heard of this book before, sounds interesting! I think .... no, I KNOW .... I'm going to love those muffins. I am streusal topping kinda gal. Hope I'm not too late. Thanks for the chance, and I love your blog! I saw this book in Barnes & Noble yesterday and drooled! I have more cookbooks than I know what to do with, but I need a baking book! just found your blog, these muffins look delicious. looking forward to exploring past entries!